How Many Animators Can You Fit in a Clown Ship? Because we all work day jobs it’s hard sometimes to keep up with all the Binary Cocoa goodness. Like a lot of game artists and programmers, we work long hours during the day and then devote as much of our free time as possible to our latest projects. 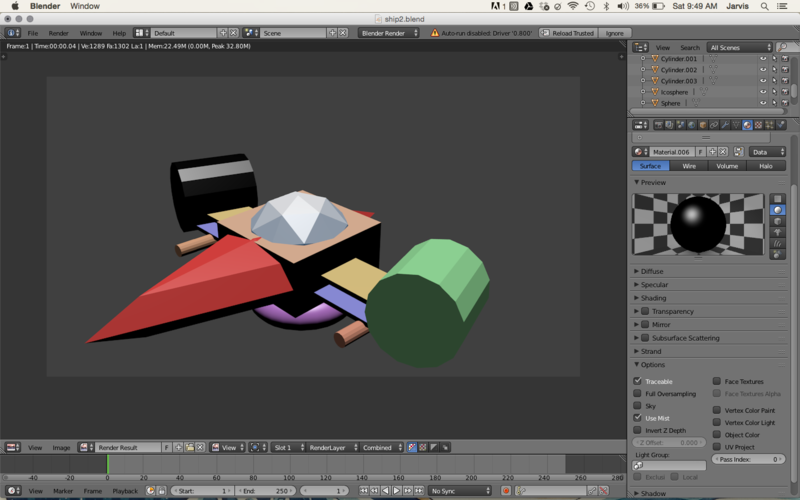 Learning Blender is both exciting and time-consuming, but I’m slowly making progress. My newly-acquired Blender skills now include coloring 3D objects and rendering objects with manipulatable movement paths. Our goal is to incorporate 3D objects into Vikings. 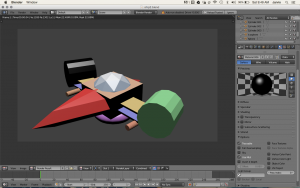 A lot of games are exporting sprite sheets from Blender that they can use in 2D games. This makes the game appear to have more depth while still viewing it from one dimension. It also saves time when you only have to draw one object, which can render and animate. For Vikings I was asked to make a coin that flipped. Using the tutorial that I referred to in my previous article I was able to accomplish this quite easily, although it may look a little cheap. Hey, I’m still getting the hang of it. My next goal is to try to add more objects, reflections and an atmosphere. Possibly animate a gorilla eating a banana in a sauna if I’m feeling ambitious. Keep in mind that that it takes a lot of animators to make a movie or a game. Next time you watch a movie stick around for the credits to see how many animators’ names pop up. The lists are usually so long you get bored, so grab a snack while you’re at it. Then go change your laundry, because it will still be going.